Turn-based games pit you against your foes in open combat but can often lead to frustrating experiences in which probability damns your party to defeat. Meanwhile, stealth-based games go the other way by giving you the drop on your foes, but tend to be mired by awful level design and clunky controls that make you drop a grenade at your feet when what you really meant to do was stab a dude in the neck. 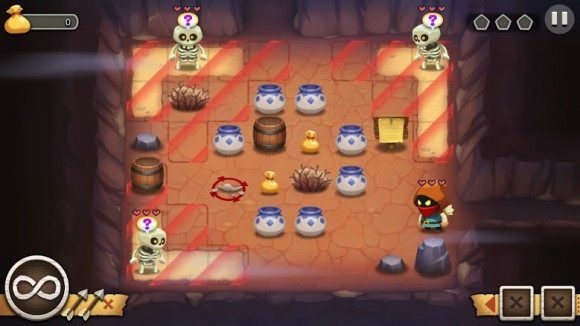 Well, indie developer Naiad Entertainment have been hard at work on their first game, Sneaky Sneaky, which aims to fuse the best elements of the two genres together while leaving all the crap bits out. 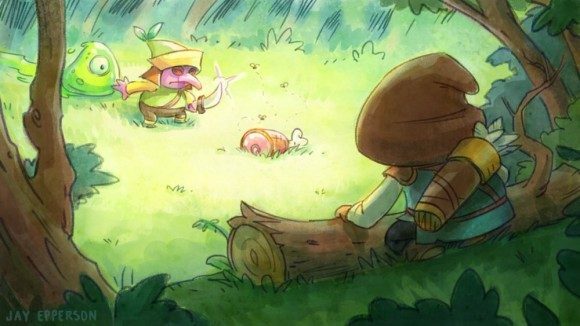 The premise of Sneaky Sneaky hasn’t quite been fleshed out by Naiad just yet, as the game has only been in development for less than a year, but its safe to say that the game casts you in the role of a rather adorable looking assassin who goes around murdering everything from wolves to forest imps to giant amoebas. As the player sneaks around undetected, gameplay takes place in real-time, and players are free to move around and take out foes with impunity. Of course, a primary rule for the player to abide by is to avoid getting spotted, but if that happens, gameplay goes into a turn-based mode. You get three turns to move around, hide behind cover or in bushes, or stab foes in the back, and the floor tiles helpfully show you individual enemies’ field of view and patrol routes, so there’s a greater emphasis on achieving victory through your smarts and not your reflexes. Currently consisting of just two men, Naiad Entertainment was formed in late 2013 by Don Wurster and Jay Epperson. Both men have worked in places like EA, Retro Studios and PopCap, so its safe to say they know what they’re doing with Sneaky Sneaky. No release date for the game has been announced yet, but Naiad intend to release for Windows, Mac and iOS platforms.